Scottsdale, Ariz. – June 1, 2017 – vCORE Technology Partners has been named one of Inc. magazine’s Best Workplaces for 2017 after achieving one of the nation’s highest scores for employee engagement among private companies. Inc. Magazine’s second annual ranking, featured in its June 2017 issue, honors American companies that have created exceptional workplaces with vibrant culture, deep engagement and stellar benefits. Scores were determined through a unique, 30-question survey designed to gauge employee satisfaction. Out of thousands of applicants, Inc. Magazine singled out just over 200 winning companies, including Scottsdale, Ariz.-based vCORE, a leading provider of information technology solutions and services across North America. vCORE was the only Scottsdale-based company to make the list, and one of only five in Arizona, according to Inc. Magazine. Founded in 2010, vCORE’s rapid growth and deep expertise have earned recognition from multiple industry publications, including an appearance among CRN’s Tech Elite 250 in 2017. The growth has also attracted many top-performers to work at vCORE, including experts in security, networking, data protection, cloud storage and proactive managed services. Philanthropic efforts are a key pillar of vCORE’s corporate mission, and the company has pledged at least 1 percent of its profit, time and services to non-profit organizations focused on improving the lives of those affected by hunger, homelessness, illness or other challenges. In addition to meaningful community service, vCORE employees said they appreciate the company’s “open and dynamic” culture, which empowers them to do whatever it takes to make customers happy. The Inc. Magazine Best Workplaces list, built in partnership with employee engagement and work culture experts Quantum Workplace, is a magnifying glass on how innovative companies can truly raise the bar in hiring and retaining the best talent. Overall survey results suggested that requires more than good pay and good perks – it’s also about having a clear purpose, a sense of humor and good leadership. The 2017 Best Workplaces Awards assessed applicants on the basis of benefits offered and employees’ survey responses, which were evaluated by the research team at Quantum Workplace. For its results to qualify, each company had to achieve a statistically significant response rate based on employee count. Survey scores account for employer size to level the playing field between small and large businesses. All companies had to have minimum of 10 employees and to be U.S.-based, privately held, and independent – that is, not subsidiaries or divisions of other companies. “Fun,” “rewarding” and “challenging” were the three words vCORE employees used most frequently to describe their workplace. vCORE employees overwhelmingly believe in the company’s future success and agree that co-workers consistently go the extra mile to achieve great results. vCORE scored 4 percent higher than the industry average for company culture, 11 percent higher for compensation and 6 percent higher for job flexibility and growth. 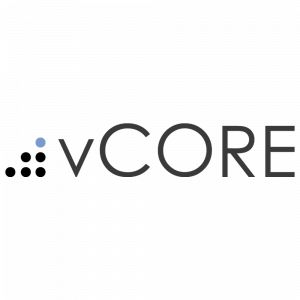 vCORE Technology Partners provides customized IT solutions and services for more than 100 companies across the U.S. and Canada. Headquartered in Scottsdale, Ariz., vCORE was launched in 2010 and has since enjoyed industry-leading growth. Our team includes proven experts in IT solutions, including network infrastructure, cloud storage, data protection and proactive managed services. Clients include multibillion-dollar media companies, major health-care providers, technology giants, data centers and others.